Using a statewide database of mental health court (MHC) defendants, this study examines criminal justice outcomes by target arrest offense type. Findings suggest that defendants with a felony are less likely to complete MHC but those who do are at no greater risk of recidivism post-exit than those with a misdemeanor. In terms of jail days, both completers and noncompleters with a felony had reductions in jail days; however, misdemeanor defendants, especially those who did not complete MHC, had increases. We discuss why MHC supervision may sometimes have a negative effect and offer recommendations on how courts might modify supervision. An earlier draft of this paper was presented at the National Organization of Forensic Social Work conference in Seattle, WA, USA. Ray, B. (2014). Long-term recidivism of mental health court defendants. International Journal of Law and Psychiatry. doi: 10.1016/j.ijlp.2014.02.017. Steadman, H. J., Callahan, L., Robbins, P. C., Vesselinov, R., McGuire, T. G., & Morrissey, J. P. (2014). 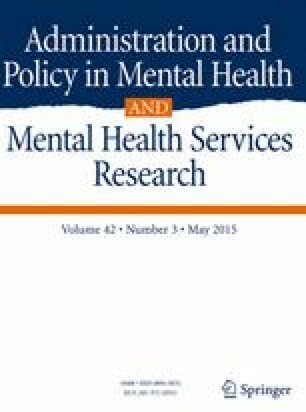 Criminal justice and behavioral health care costs of mental health court participants: A six-year study. Psychiatric Services. doi: 10.1176/appi.ps.201300375.